Good nutrition is essential for both your oral and general health. Your best source of nutrients? Real food. 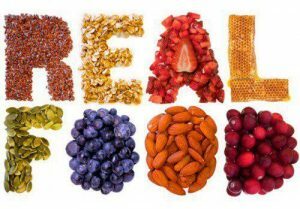 By “real food,” we mean fresh, whole foods, as close as possible to the form in which they were grown and preferably organic. It’s the opposite of the hyperprocessed products that line the aisles of your average grocery store – the stuff that looks nothing like anything you would find in nature. But what about genetically modified foods, or GMOs? Can these ever be considered real food? Many consumers would say no. In fact, some even say that they’re grossed out by them. Others call them “frankenfoods.” Even folks who are okay with hyperprocessed foods balk at the idea of GMOs. And opposition is only growing. A 2018 study by the Hartman Group found most people were aware of GMOs — although many were sketchy on the details. Nearly half said they would avoid buying products with GMOs, and a third said they don’t want to support companies that use GMOs in their products. When Hartman asked about GMOs 11 years ago, just 15% of those surveyed said they’d avoid them. Yet GMO crops are very common. Half of US farmland – and 12% of global farmland – is currently dedicated to GMO cultivation. Consequently, despite their opposition, many consumers are unaware of just how much of their food even contains GMO ingredients. One of the latest controversies around GMO food products centers on the new “Impossible Burger” made by Impossible Foods. This vegan burger is engineered to “bleed” like rare meat, which it does courtesy of a soybean protein called leghemoglobin, which contains iron and is red like the hemoglobin found in animal blood. While the protein itself is naturally found in soybean roots, it’s not a part of the plant humans normally eat. And it’s not the roots that are being used in the burger. Instead, the company is producing the protein from genetically modified yeast. Since humans have never eaten this protein before, the FDA considers it new additive, which typically means it needs to go through an approval process. Impossible Foods, however, insists that the soy protein is safe to eat. Their argument? Even though leghemoglobin has a different amino acid composition than animal hemoglobin, it has a similar structure. In other words, it’s shaped the same. The FDA originally disagreed and required additional testing. 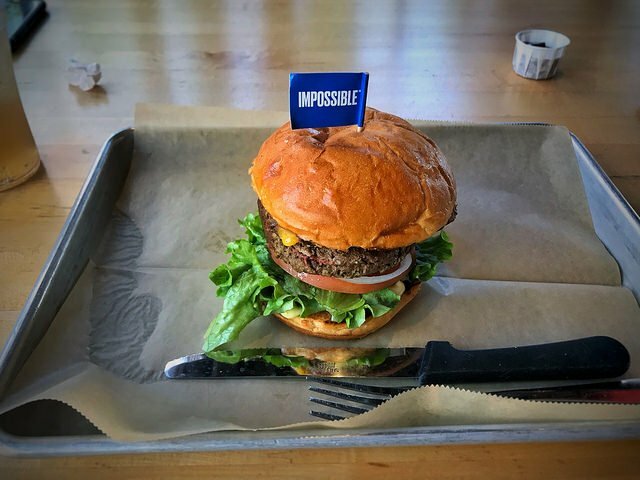 Yet even though not all testing was completed, the FDA recently did a 180 and gave Impossible Foods a “no questions letter,” allowing it to be used. Food safety advocates such as those at the Consumers Union were outraged by this decision. Ultimately, the safety of GMO foods remains an open question, though research to date has given plenty of cause for concern. The food industry likes to argue that molecular techniques to insert new genes into plants and animals is just a speedier version of our millennia old selective breeding techniques. But selective breeding is a slow process. It allows adequate time for any problems to be identified and resolved. With modern genetic manipulation, we’re altering our agricultural plants and animal faster than we ever previously thought possible. It stands to reason to caution is essential to ensure that these new foods are indeed safe.